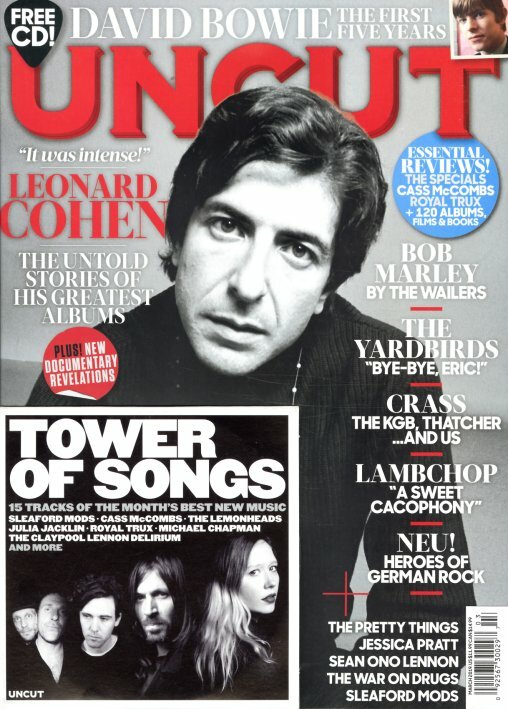 This time around, Uncut's got a big feature on the untold stories behind the greatest albums of Leonard Cohen – and a shorter bit on new documentary revelations on the man himself! There's also a look at the first five musical years of David Bowie – and more on Lambchop, Neu, Crass, The Yardbirds, Bob Marley, The Pretty Things, Jessica Pratt, Sleaford Mods, and War On Drugs – plus lots of reviews of records, movies, and books – and a bonus CD with 15 songs by Sleaford Mods, Cass McCombs, The Lemonheads, Michael Chapman, Royal Trux, and others! © 1996-2019, Dusty Groove, Inc.